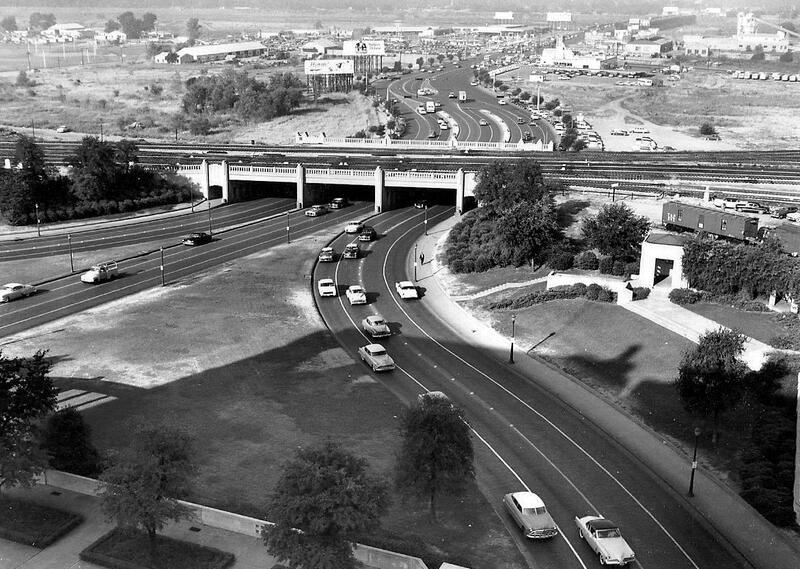 A view toward Oak Cliff, back before the words “triple underpass” began to be capitalized. Photo found here (along with other JFK-related photos of Dealey Plaza). This street scene shows that in the 1950s unless you were a farmer or plumber or otherwise needed a light truck to actually haul something you probably didn’t drive a pickup. Before the turnpike, to Ft Worth, Arlington and Irving, that was that was the route since the 1870s when the Cockrell steel bridge came in, and that was second route to Oak Cliff, thus Industrial was also born….and Pappy Show land, the old Route by La Reunion…This was the way west…again another great shot or image, on how Dallas became industrial with car culture….